2. 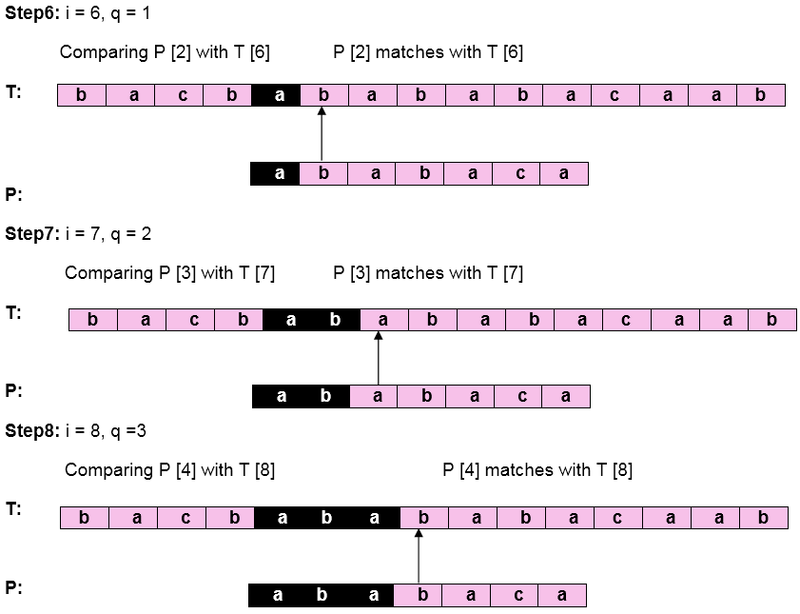 The KMP Matcher: With string 'S,' pattern 'p' and prefix function 'Π' as inputs, find the occurrence of 'p' in 'S' and returns the number of shifts of 'p' after which occurrences are found. In the above pseudo code for calculating the prefix function, the for loop from step 4 to step 10 runs 'm' times. Step1 to Step3 take constant time. 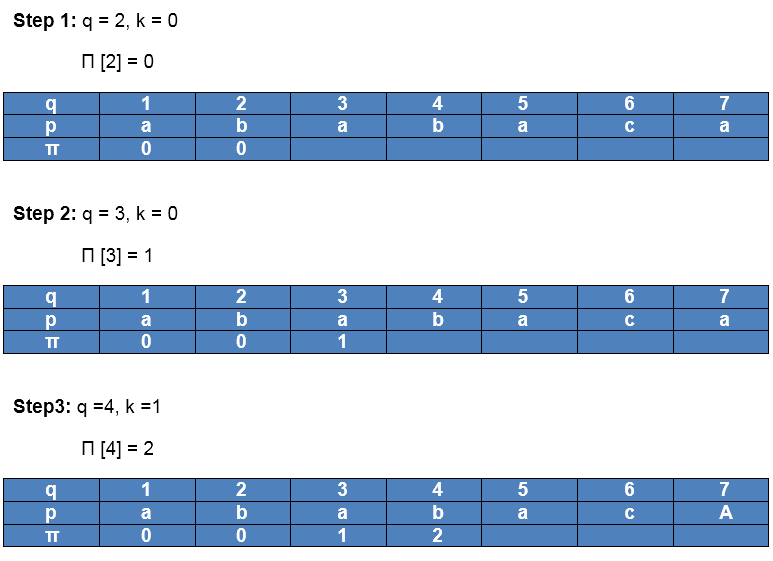 Hence the running time of computing prefix function is O (m). 10. 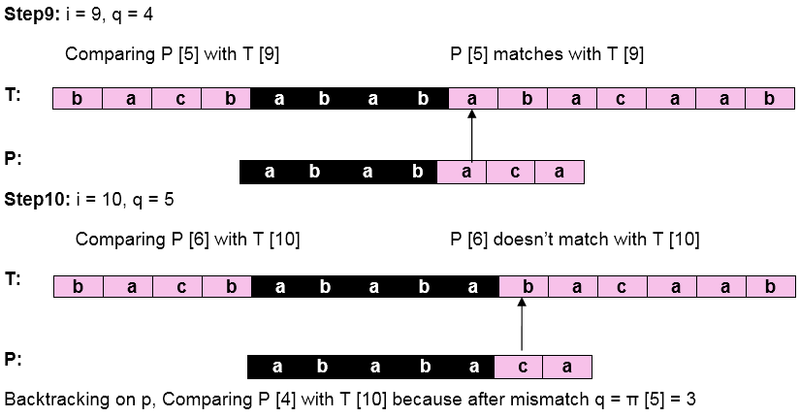 If q = m			           // is all of p matched? 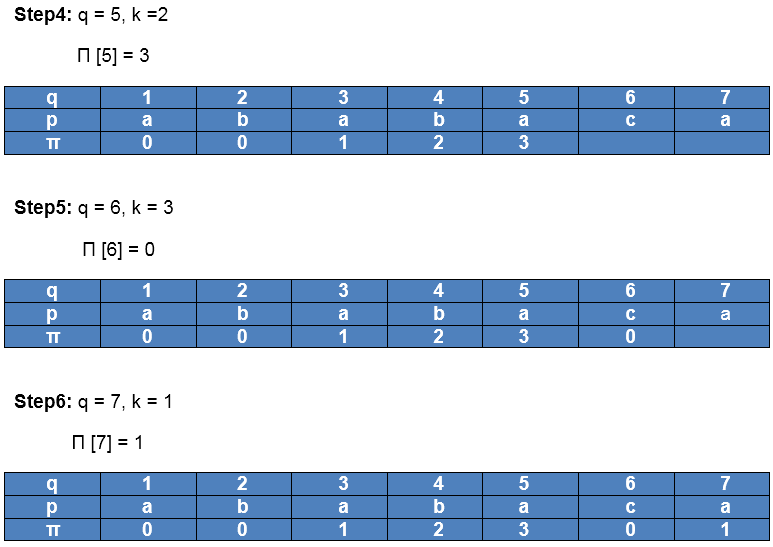 The for loop beginning in step 5 runs 'n' times, i.e., as long as the length of the string 'S.' Since step 1 to step 4 take constant times, the running time is dominated by this for the loop. 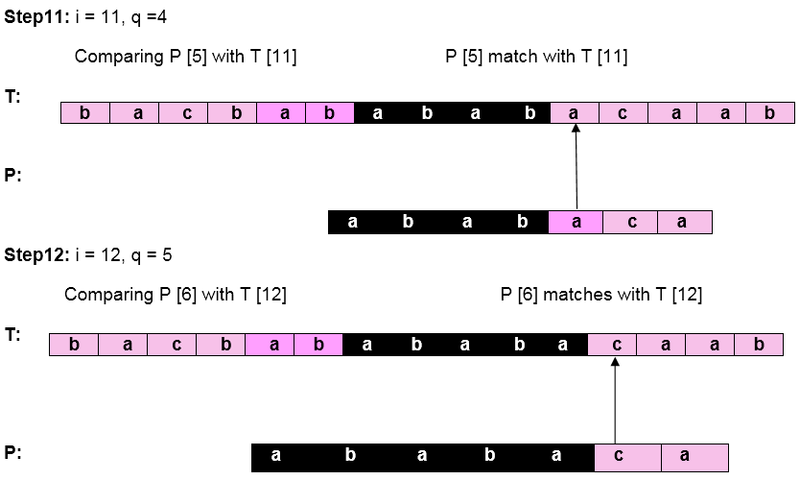 Thus running time of the matching function is O (n). 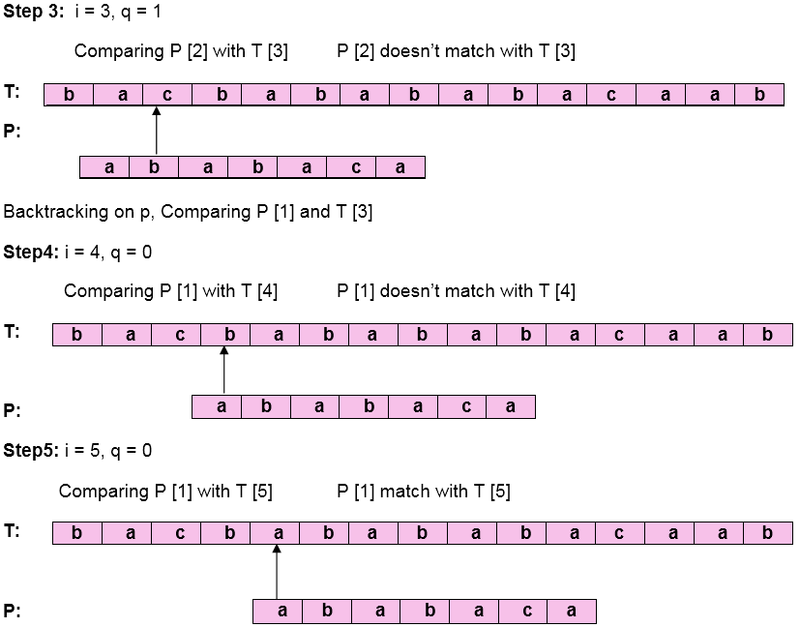 Pattern 'P' has been found to complexity occur in a string 'T.' 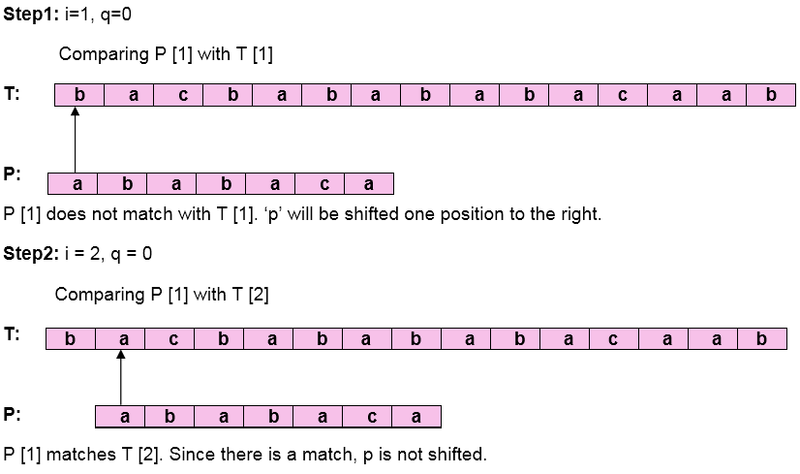 The total number of shifts that took place for the match to be found is i-m = 13 - 7 = 6 shifts.